There are currently two grant funding programs with applications open to Community Archives in NSW. 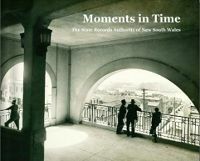 To provide funding to celebrate Australian local history. For local historical research by community groups and individuals that. For example Your local historical society wants to research a local history suitable for publication on World War One families focusing on sons and daughters for your town’s planned upcoming celebrations. You apply for a grant of $5,000. Your local historical society is planning to employ a consultant to develop a management plan for your community archive collection of photographs which will be implemented by your society. You apply for a grant of $5,000 to assist with consultant costs. However, you CAN NOT apply for funding if you are a state or local government agency undertaking work as part of your statutory responsibilities (but you may be involved as a project partner to a community organisation, individual or business). Membership or affiliation with the Royal Australian Historical Society is not required, but welcomed. Membership does not affect the assessment of the application. Visit the website of the Heritage Office for applications and further information. [This Scheme]…supports organisations undertaking projects with a lasting historical contribution to a community in NSW. Please download the new, applicant-friendly application form here. Does the above grant exist for 2016? The answer to this question appears to be soon? The Heritage Near Me Incentives Program page appears to indicate that grant applications will become available in the near future. Similarly the NSW Heritage Grant Applications page indicates that applications will open in October 2016.